You must be a member of the Zurich Alpine Group to attend this activity. Would you like to join this group? Hello mountain enthusiasts :) Let's spend another day skiing or snowboarding in Flumserberg. 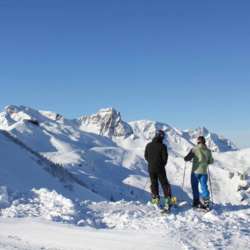 The place is easy to reach from Zurich and offers a lot on nice slopes as well as free ride possibilities.